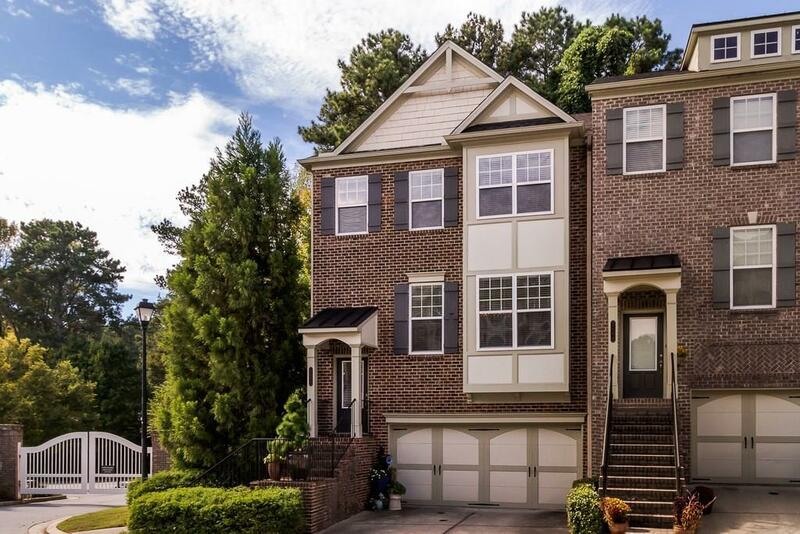 Spacious Brookhaven end unit townhome in desirable gated community. Move in ready, recently painted, stainless steel appliances and surround sound. This townhome has a large and open floor plan, private deck and added patio overlooking green space. Extra large master suite with walk-in custom closet. Dont miss the chance to live in one of Brookhavens most desirable communities. Fabulous amenities include well maintained pool, butterfly garden and easy access to I-85, 400, and close to the shops and restaurants on Dresden Drive. Directions: North On Peachtree Road To Right On North Druid Hills Road, Left On Briarwood Road And Cobblestone Of Brookhaven Is About A Half Mile On The Right.